With some embarrassment I admit to being a certain kind of amateur scholar of a certain age and temperament for whom the ambiguous world of Continental Thought (or philosophy, or theory, or whatever term it is we’ve stumbled into this year) became intoxicating sometime around my second year in college. I mean I am the kind of scholar whose interest in modern French philosophy and literary theory began by picking names out of Žižek books. 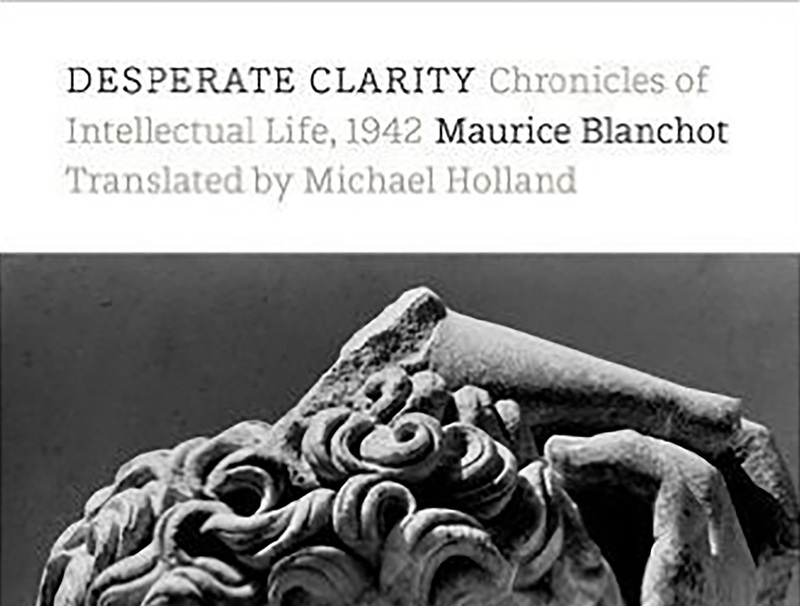 And I doubt that I am the only member of this group for whom the name Maurice Blanchot is both familiar and vague: a name which I have long known represents a body of work I know shamefully little about, and yet a figure who has long been dwarfed by Foucault, Badiou, Lacan, Barthes, Derrida, and, yes, Žižek.